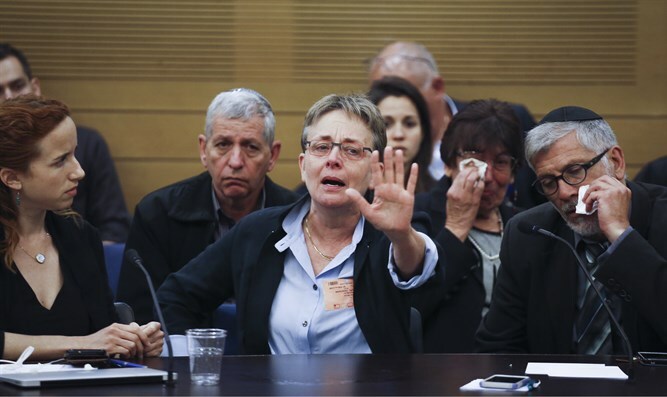 Leah Goldin wants her son Hadar's body to be returned. Hamas has been holding on to it for more then three years. It has been 1,086 days since I last spoke with my son, Hadar Goldin. A lieutenant in the Israel Defence Forces’ (IDF) Givati Brigade, Hadar was serving in Gaza during Operation Protective Edge in the summer of 2014. On Aug. 1, 2014, I was ironing clothes when I heard a knock on the door – a dreaded sound that is the greatest fear of any soldier’s family. That day, just 90 minutes into a ceasefire that was mediated by the UN and the U.S., Hadar and his unit were ambushed. Hamas terrorists emerged from a hidden tunnel, killing two brave sons of Israel and injuring mine. He was dragged back down the terror tunnel to hell. Hadar’s twin brother, Tzur, was also in Gaza at the time. With that knock on the door, all I could think was, “Which one?” I would later find out that Tzur’s unit, which was stationed a mere 700 metres from where Hadar was kidnapped, was sent to rescue him, a fact I still have trouble comprehending. Several days later, we were visited by senior members of the IDF, who informed us of their conclusion that Hadar had died in the ambush. Why was my son kidnapped and killed during a ceasefire? And when will my family be able to lay him to rest? Over the past three years, as we have fought to bring Hadar home for burial in his beloved homeland, we have asked these questions over and over again. While the initial response included widespread condemnation and calls for Hadar’s return, the international community soon fell silent. Three years later, I am still asking why Hamas gets a free pass to continue to disregard international law and norms. After all, this was a clear violation of the humanitarian ceasefire that was intended to help civilians. The abduction and attempt to negotiate over the bodies, thus preventing a proper religious burial, is a violation of both the Geneva Conventions and the spirit of the ceasefire. This is not an Israeli issue; this is an international humanitarian issue. We do not want Israel to trade terrorists for our son, which might encourage future kidnappings. What we want is for Hamas to be held to the same standard as the rest of the world. We are grateful to those in the Diaspora who have joined our cause, including Canada’s Irwin Cotler, U.S. Ambassador to the UN Nikki Haley, U.S. Ambassador to Israel David Friedman, U.S. Special Representative for International Negotiations Jason Greenblatt, as well as numerous American senators and congressmen. This group is not alone. The International Committee of the Red Cross (ICRC) has weighed in, as well. Widely accepted, it would appear, by everyone but Hamas. For three years, we have been crushed by the world’s deafening silence. Now is the time for action. We need your help. Please sign our petition addressed to UN Secretary General António Guterres atbringthemhome.ca. Join us in saying that we will not accept this; that we will not allow the bodies of our soldiers to be used as bargaining chips. Join us in demanding that Hamas be held accountable for this egregious action. Join us in demanding that the UN not let this wanton disregard for its humanitarian ceasefire go unanswered, setting a precedent that will jeopardize all future ceasefires. My son was the victim of a ceasefire, not a war, and it is time to bring him home. Please help us.